Sigmanews - It seems that South Korea and North Korea is getting hotter. 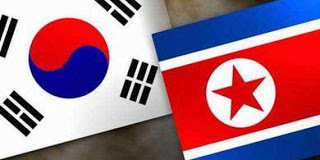 Because North Korea, Saturday (30/3), said it has entered a "state of war" with South Korea, the official news agency reported DPRK, KCNA. The statement, jointly issued by the DPRK government, local political parties and other organizations, to warn any military provocation on land or sea border both sides will lead to large-scale conflict and nuclear war.